- Any of your own designs can be made. We introduce our business as a notable entity of a qualitative array of Stoned Necklace And Earrings Set. 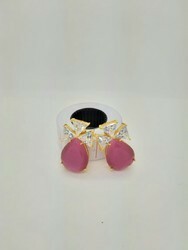 Stone Jewelry set the stage for the fashion trend in the section of costume jewelry. They are a perfect match with formal attire on special occasions or with casual wearing. We are leading manufacturer and supplier of handcrafted Indian stone jewelry. This Stone Studded Jewellery Set is made of copper and can be worn with any traditional saree. We are engaged in offering a vast range of Sun Stone Necklaces, which are fabricated from high grade silver & Sun Stone. We are widely acclaimed for our products superb quality and high finishing. 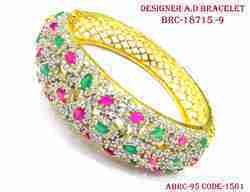 Under the supervision of our experienced professionals, we are providing high quality range of Stone Set Casual Jewellery. Backed with diligent team, we have been able to trade and supply elite range of Stone Light Pendent Set. Our vendors manufacture this beautiful looking array with the help of latest machines and quality assured raw materials. The proffered assortments are highly demanded by Indian brides. We also offer you natural chalcedony with top class quality. Mineral chalcedony is exclusively available with us. Chalcedony occurs in many forms, colors and shapes. This cab is in free size and shape. our domain expertise and creativity of our professionals enable us to provide our clients a wide range of gold stone jewelry which features eye catching designs and optimum elegance to suit their tastes and preferences. It is offered in a variety of styles and widely appreciated by women of all ages for its beauty and sophistication.